Living with back pain can be a frustrating experience, and it’s one of the most common reasons for calling in sick to work. Medications may temporarily relieve pain, but spinal manipulation by the highly-skilled physiotherapists, Gregory Trakhtenberg, MPT & Dmitry Shestakovsky, DPT, at Midtown East Physical Therapy in New York City, can provide long-term relief from the underlying source of your pain. If you’ve tried other options to help acute or chronic back pain, make an appointment for spinal manipulation by calling one of the offices or scheduling a consultation through the online system. Spinal manipulation is an effective technique for relieving low back pain and spinal conditions. 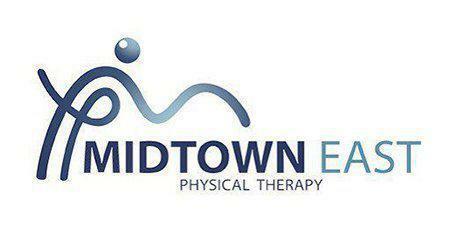 The physical therapists at Midtown East Physical Therapy can manually move your spine using a device or their hands to apply controlled force to the joints in your spine. Spinal manipulation helps alleviate pain and improve the function of your back so you can return to your daily routine. Spinal manipulation may also help relieve sinus pressure. During spinal mobilization, your provider may also use a small metal tool called, an activator which targets a single vertebra to help move it back into its correct position. Along with spinal manipulation, your provider may also recommend heat or ice therapies or massage therapy to help you get the most from your treatment. How many spinal manipulation appointments will I need to get relief? Most individuals have a series of several spinal manipulation treatments to alleviate their back, neck, or headache pain, but everyone is different. Drs. Trakhtenberg and Shestakovsky create a customized treatment plan based on your specific conditions, how long you’ve been in pain, and the results you hope to achieve. You may notice a difference in the degree of your symptoms after a single appointment, or you may need several adjustments to feel better and regain full mobility. If you’re tired of taking pain medications or having difficulty getting around, call one of the offices in Brooklyn or Midtown or schedule an appointment using the online booking system.